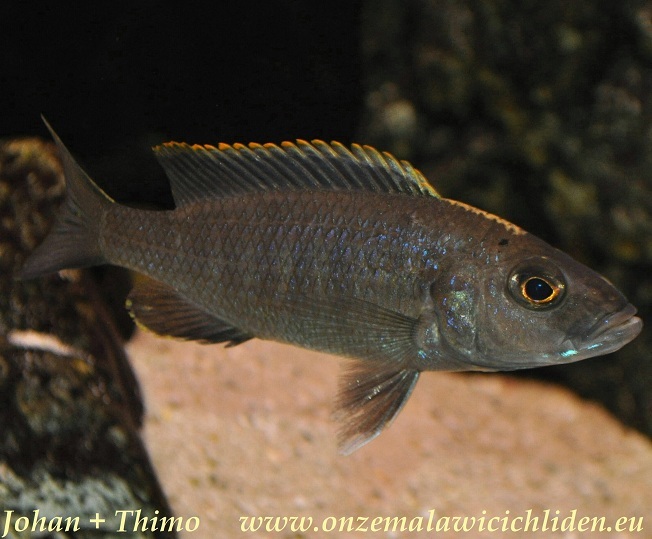 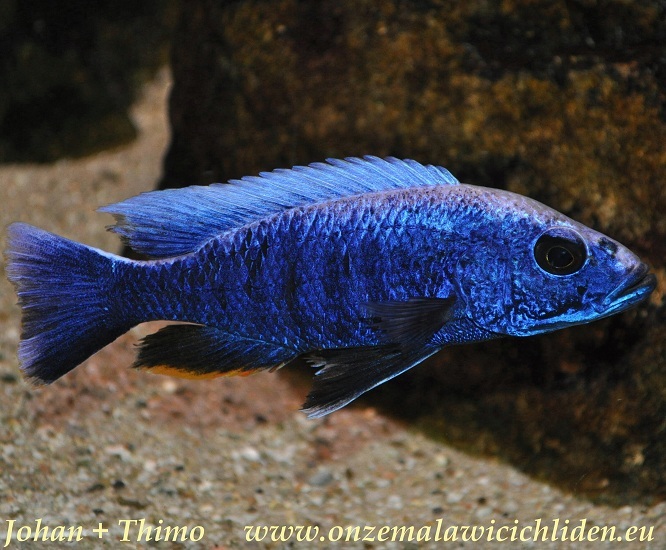 Sciaenochromis fryeri is a cichlid which is living all around the lake in all kinds of environments as long as there are rocks in it´s neighbourhood. 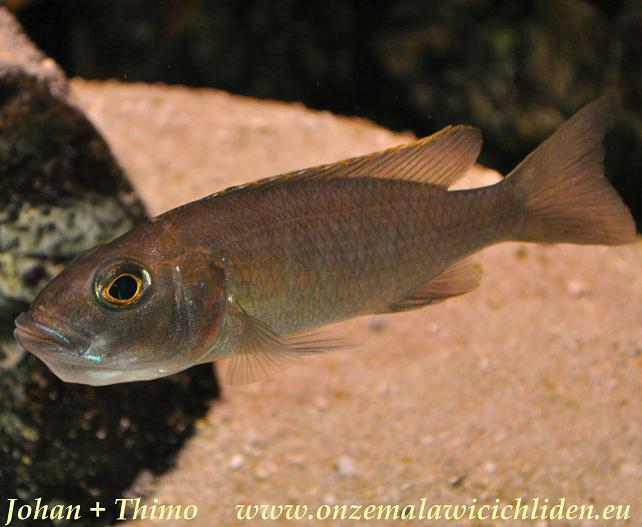 This variant - which in trade usually is offered as Sciaenochromis fryeri "iceberg" - can be found in the neighbourhood of the Maleri Islands. 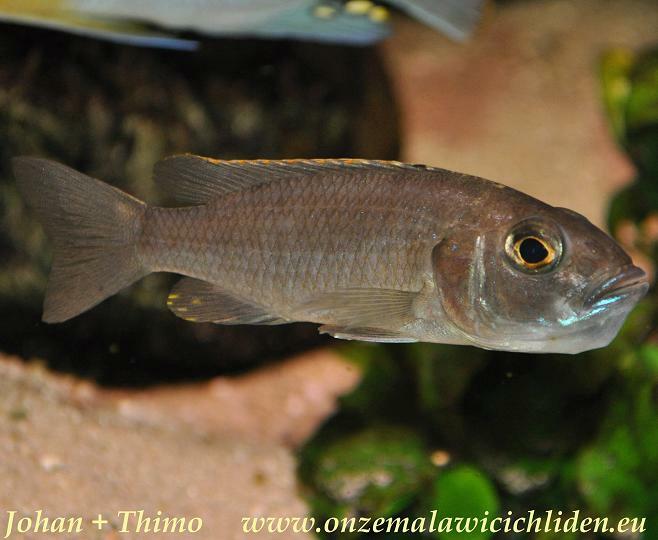 This species is a carnivore, it´s living on young "mbuna" and "utaka". 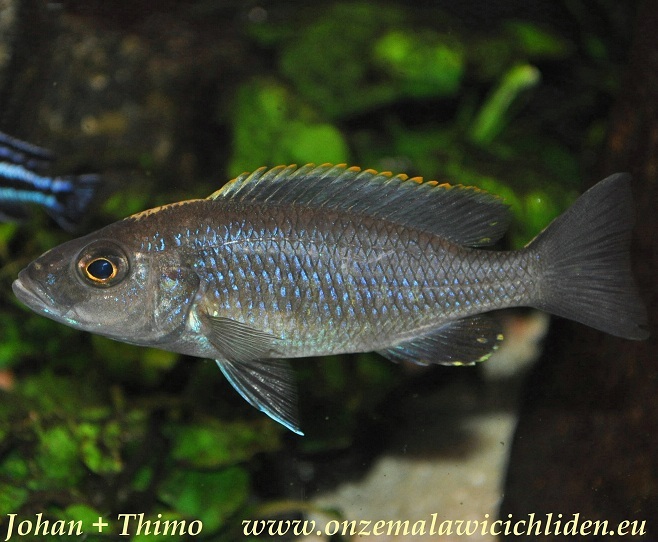 The male has a beautiful steelblue colour with a white blaze on its head which goes on over the top of its back and also colours the backfin completely white, the female is greyish. 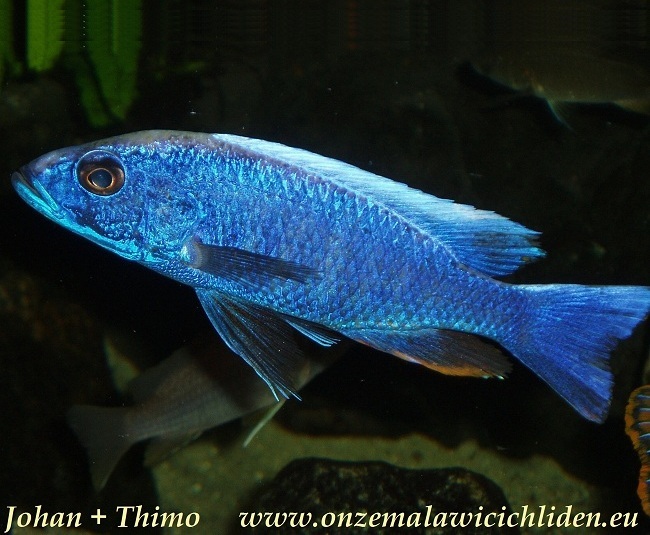 The male in my aquarium is near 20 cm, the female 12 cm. 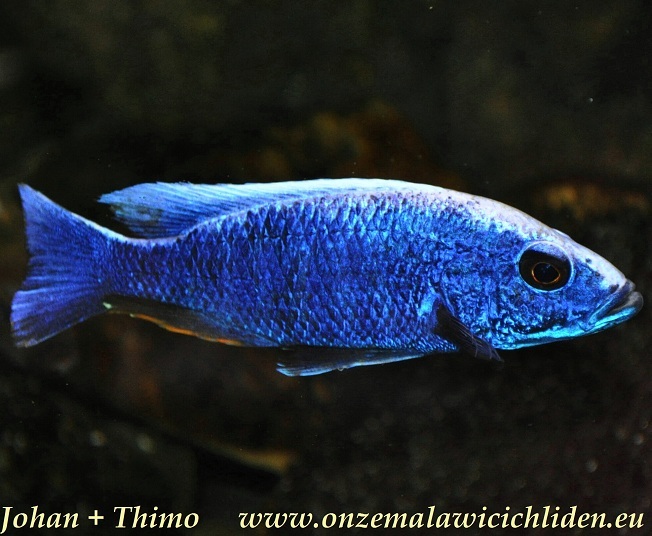 The three in my aquarium behave quite peaceful and they swim around through everything without apparently having notice of what happens around them. 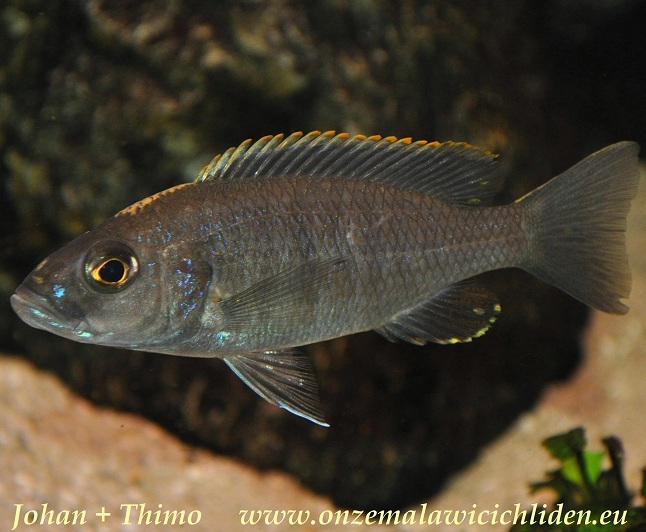 Usually they hold up at the edge of the rocks. 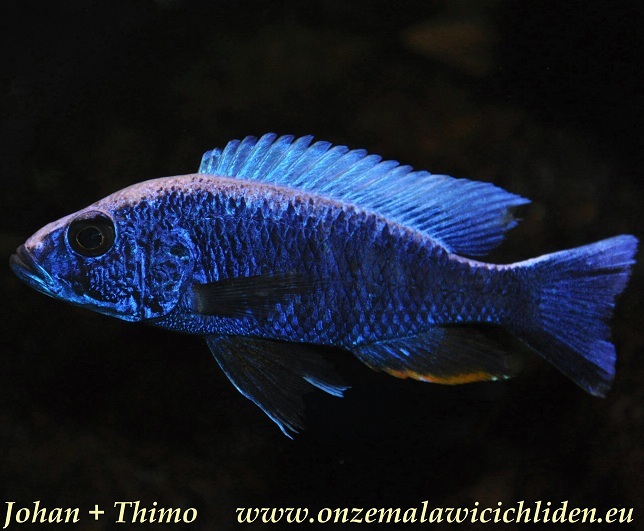 In this moment - februari 2013 - they have been spawning several times but there are surviving just a few young ones because most of them are eaten through the other "mbunas" in this tank and also by themselves, at last they are also predatory. 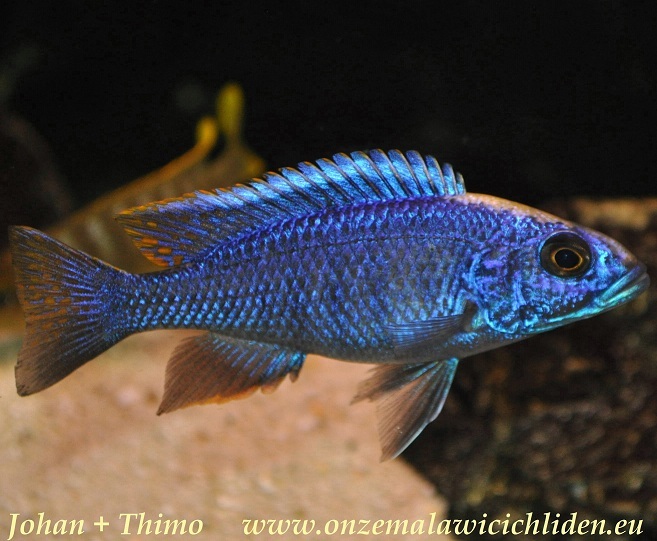 They eat almost everything, there is always enough young fish in this aquarium where they can feed on however the normal food is eaten by them as well.